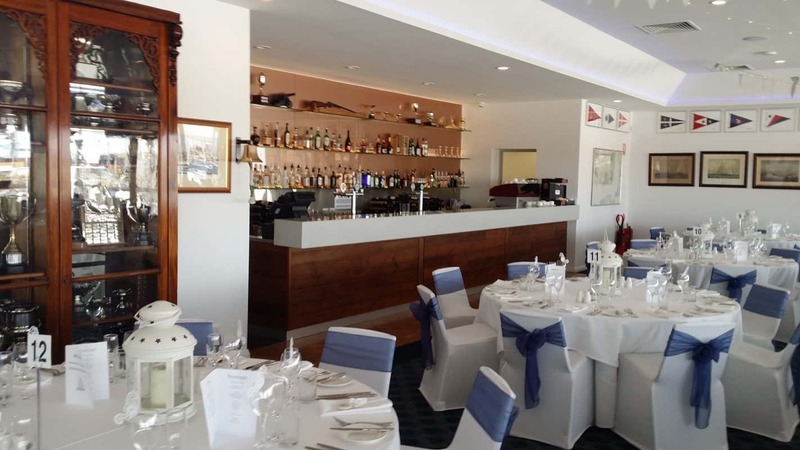 Our fully renovated Squadron Dining Room is designed to impress. 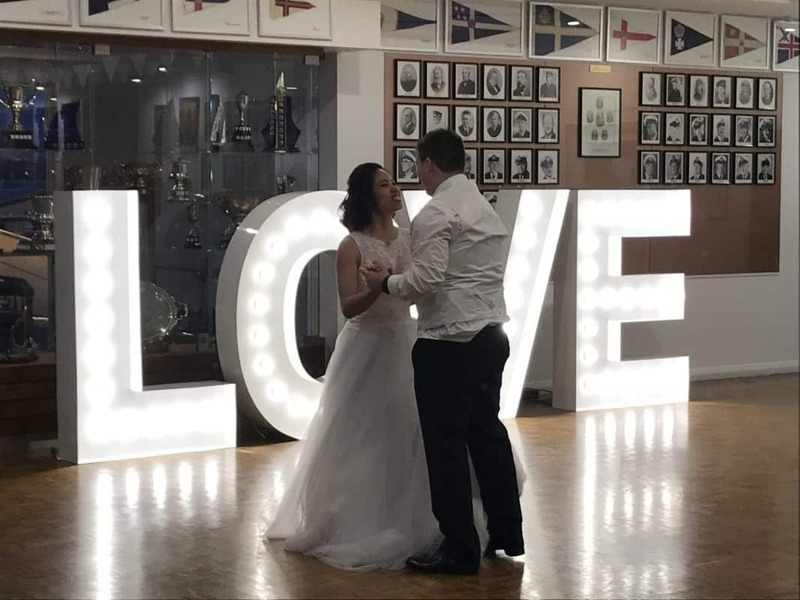 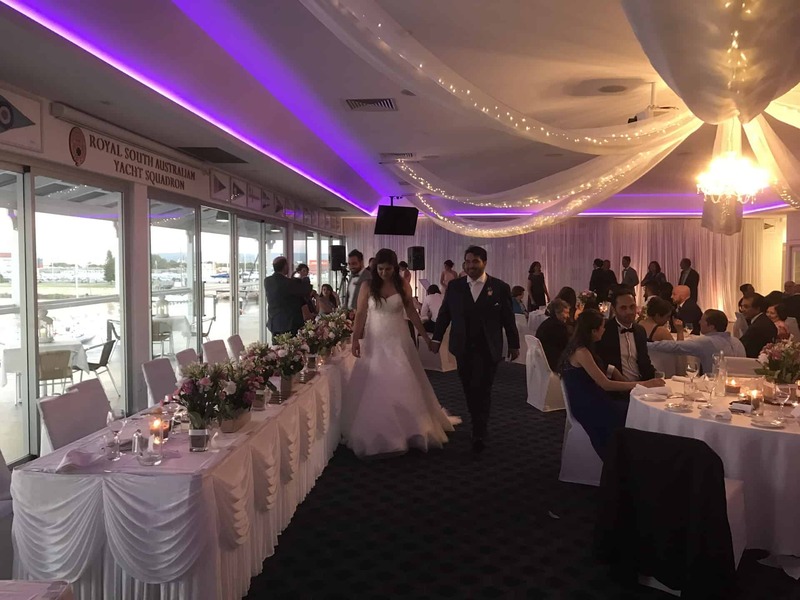 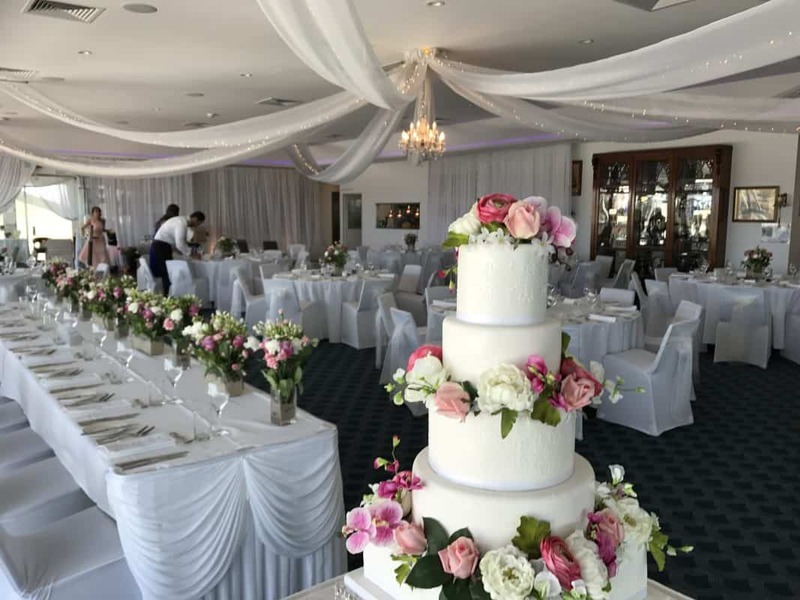 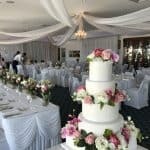 Located on the first floor of the Clubhouse, our largest function room is a contemporary, light-filled space with an imposing entrance foyer, a stylish bar and a spacious dance floor. 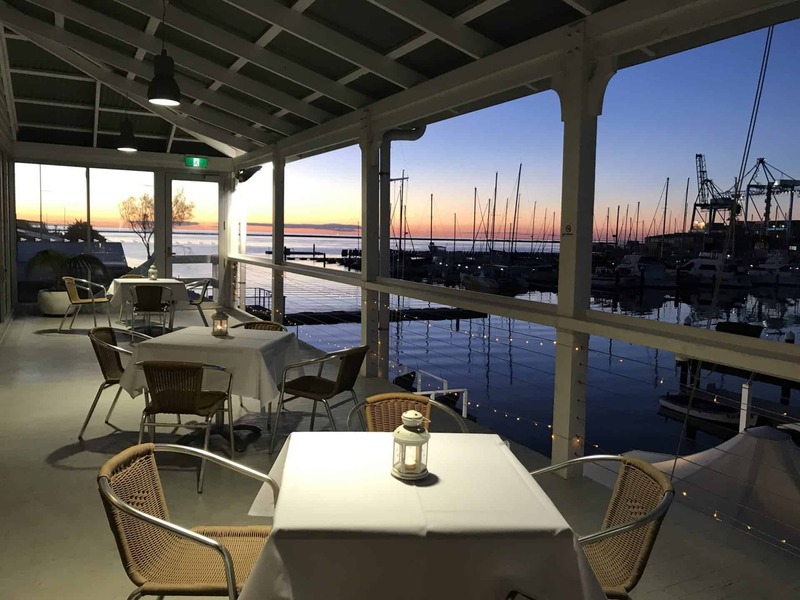 The Balcony, with panoramic views of the marina, is perfect for pre-dinner drinks. 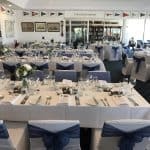 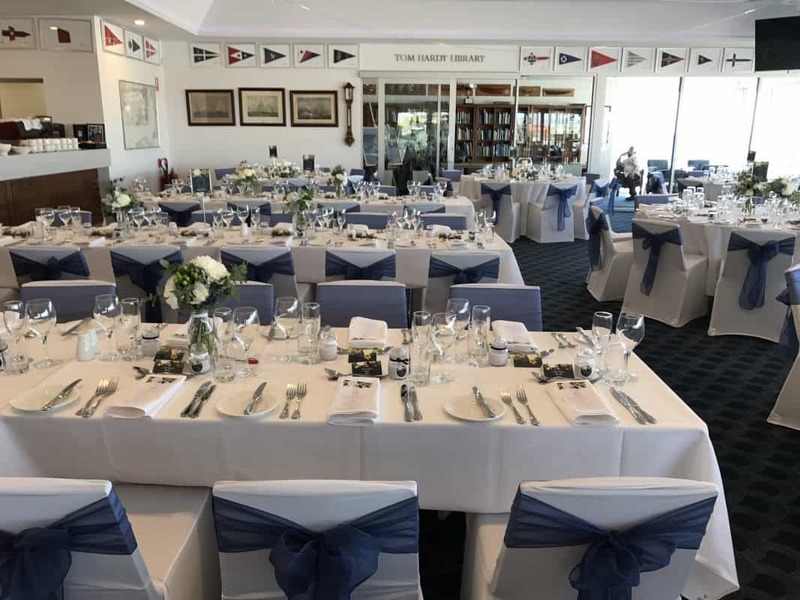 Combined with modern facilities and first-class catering service, the Squadron Dining Room is perfect for wedding receptions, conference and dinners. 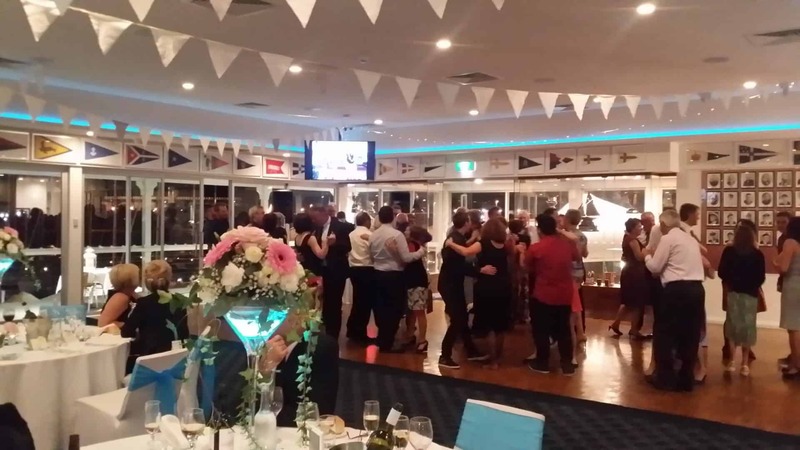 In house audio visual options are available. 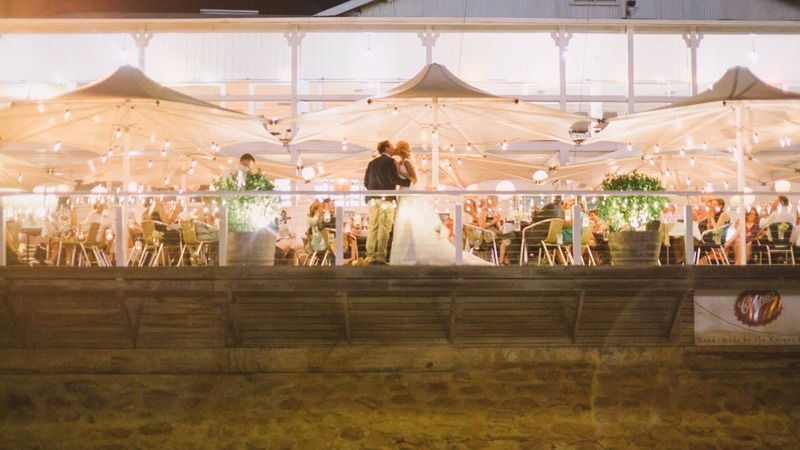 The Dinghy Shed exudes character and heritage charm. 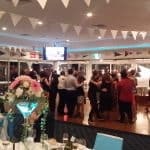 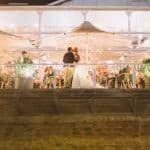 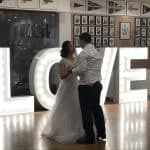 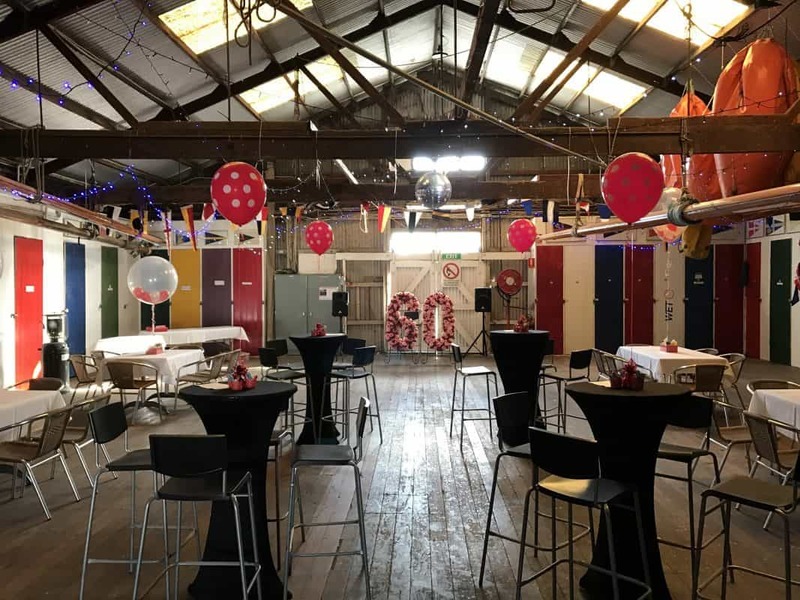 The original boat shed, with a backdrop of colourful lockers and boardwalk timbers, is a perfect space if you are looking for an unusual, quirky location where guests can mingle and party. 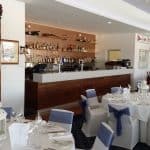 Beverages serviced by Jimmy’s Bar, with speciality menu options, you can create a wedding reception and event with a difference! The Quarterdeck is a smartly presented outdoor space right on the water’s edge with picturesque views and huge umbrellas for the comfort of your guests. 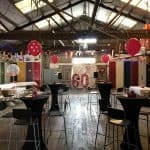 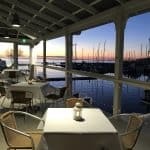 It is a fabulous place for a casual relaxed cocktail or platter events.